Music festival which normally takes place in Dumfries and Galloway will now be held in Glasgow. The organisers of a Scottish music festival have apologised and offered full refunds after bungling the announcement to move the event from Dumfries and Galloway to Glasgow. Electric Fields, which normally takes place within the Drumlanrig Castle estate, is relocating to SWG3 in Finnieston. After announcing the move on Tuesday, organisers had to issue an apology and offer refunds following an outcry on social media. They posted: "We're sorry we got that totally wrong, and genuinely can only apologise. "We have emailed all ticket holders with updated information on partial and full refunds." 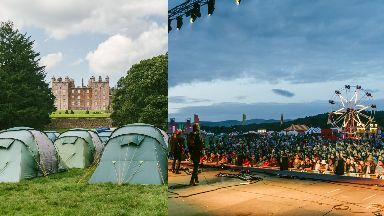 Despite previously revealing a line-up and selling tickets for 2019's event in Dumfries and Galloway, in a statement issued on Tuesday organisers blamed the "rising costs of producing outdoor camping festivals and ongoing logistical issues" for the decision to move the event to Glasgow. While some fans praised the move to the city, others aired their disappointment. Before full refunds were offered, Ewan McMickan wrote: "So disappointed by this. I'm not traipsing two kids backwards and forwards to Glasgow three days straight. "This is not what we paid for and it's only right that full refunds are offered. "Don't make a bad situation even worse." David Skeoch added: "I want a full refund as this clearly is not what we paid for. "Gone from three days in a beautiful setting to three separate gigs in an industrial estate. You have blown it." On Facebook, Laura Stewart stated: "It's such a shame. My husband and I attended your first year, which was incredible. "We then took our kids to your fifth anniversary last year and they loved it. It was their first time camping. "It was a stunning setting for parents to chill and kids to go wild. We were all looking forward to this year and my son even said the other day that we need to get the tent ready. "We are gutted that you have come to this decision. Unfortunately we will have to look at other family friendly festivals. "RIP electric fields. It was good whilst it lasted." 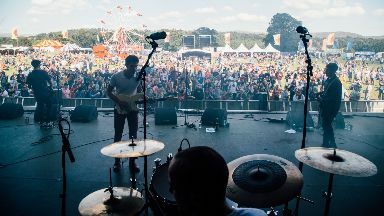 Nick Roberts, festival director, said: "After spending the past five years putting on a quality outdoor music festival we found the rising costs this year have led us to reimagining how Electric Fields takes place for 2019. "Although we leave Dumfries and Galloway with a heavy heart our new venue offers a very exciting opportunity for us to flex our creative muscle and put on an outstanding show in the heart of Glasgow." The event will still take place on the same dates, between July 4 and 6, and will feature the acts already announced. Metronomy, Frank Turner & The Sleeping Souls, and The Vaccines will headline the event, while Scottish artists set to appear include The Van T's, Emme Woods, Vistas, Fauves and Alligator.